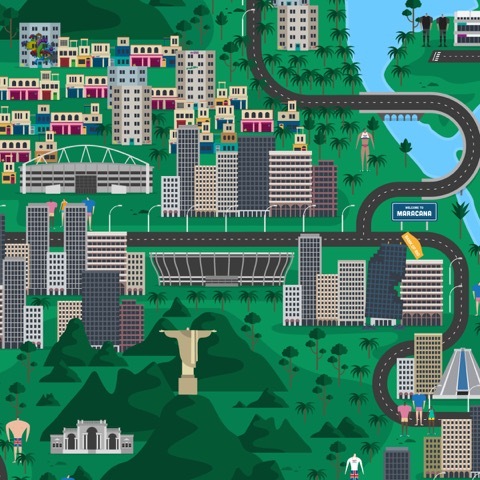 Ahead of the Rio Olympics this month, Fiasco Design has launched an animated, interactive map of the city. Following on from its previous map for the Sochi Winter Olympics in 2014, the user can explore the interactive city, which comes with animated features and sound effects by Bunkersonix. Ben Steers, creative director of Fiasco Design, says: “Following all the controversies and negative press around the games, we wanted to design a map of Rio which users could interact with and explore to find out more information about the games. 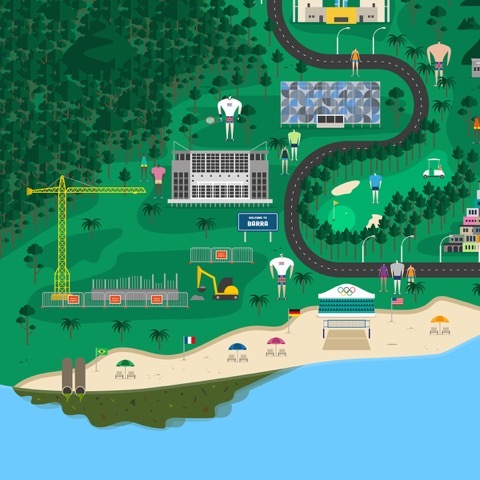 Explore the Rio 2016 map here.